It's nearly spring! After a month of snow in February and not even a hint of warmer weather to come, it's nice to have March here with its promise of spring -- if not in real life, at least on the calendar! Spring Salad Mix, while something we can buy year round at the grocery store, is about to be coming into its own at the local farmer's market and before long in our own gardens! 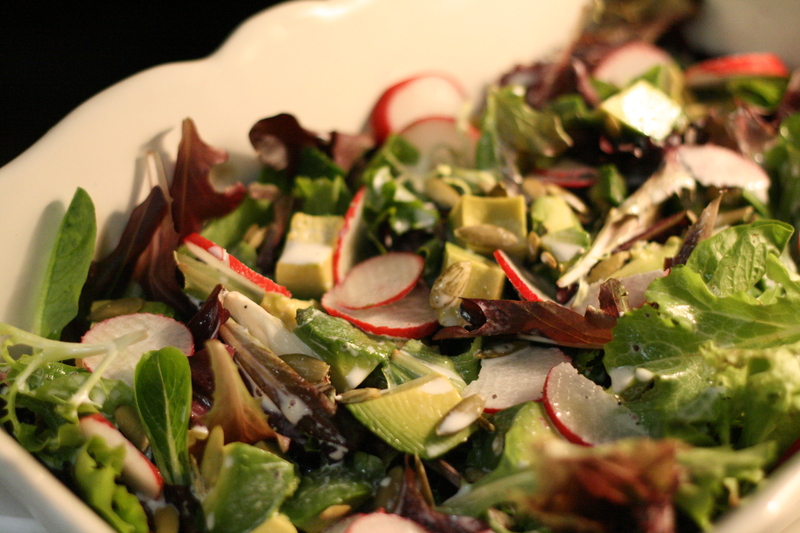 Place your spring mix into a salad bowl. Add the fruit, something crunchy, and cheese of your choice. Toss with the dressing just before serving. Whisk the cream in a bowl until it is frothy. Add the red wine vinegar and give a few more whisks. The cream will thicken. Add water to make the dressing the desired consistency (i.e. not so thick). Add salt and pepper to taste and pour over salad. This amount works for a salad to serve about 4. Place all ingredients in a blender and whizz until well-blended. I squeeze the lemon juice into a small glass jar, add the oil, salt and pepper and place the lid on the jar. 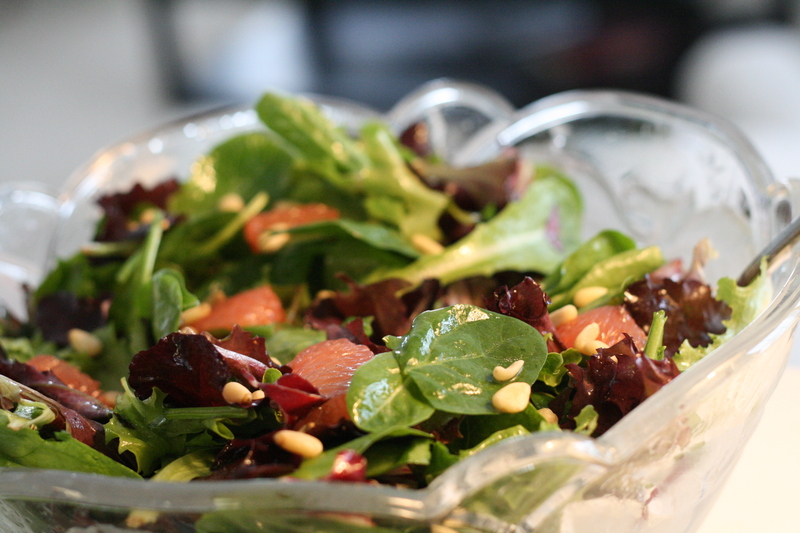 Shake vigorously and pour onto salad. This is my most-used salad dressing.